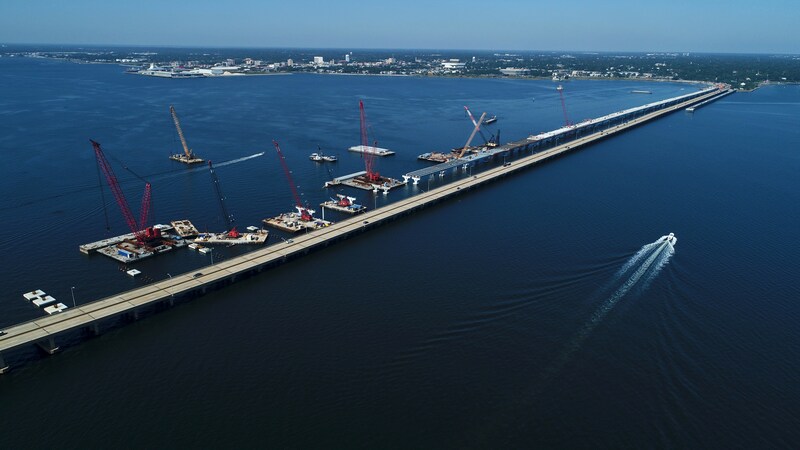 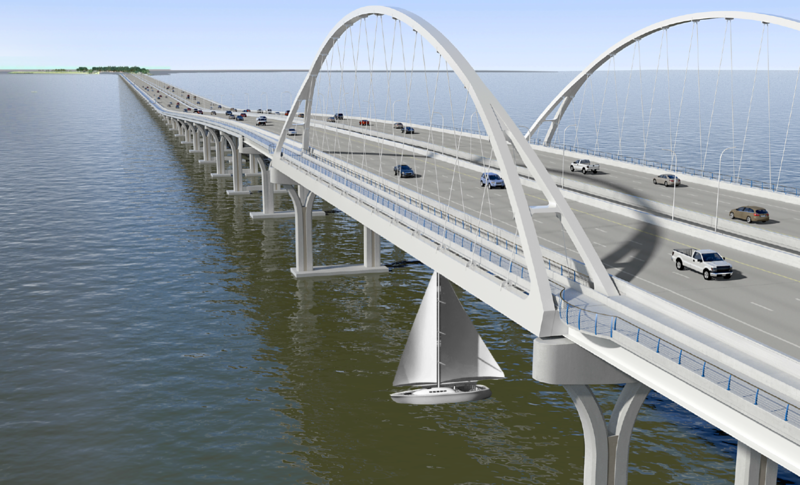 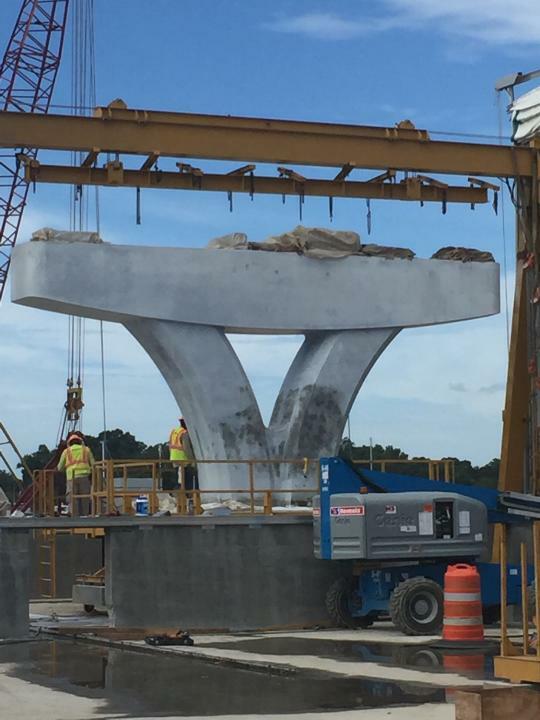 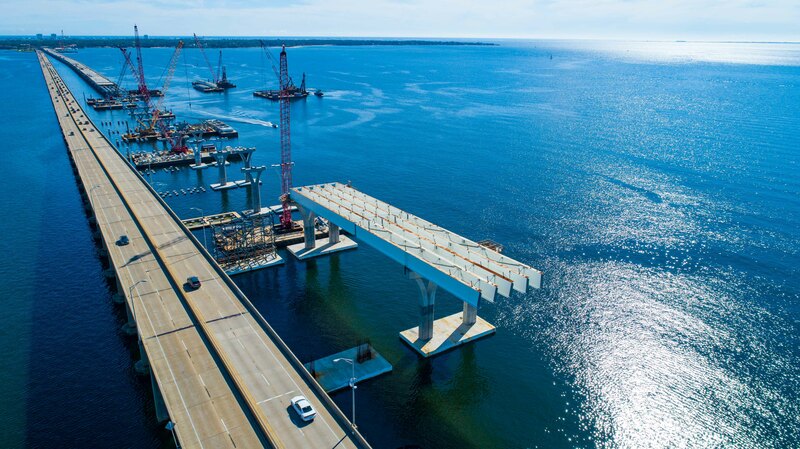 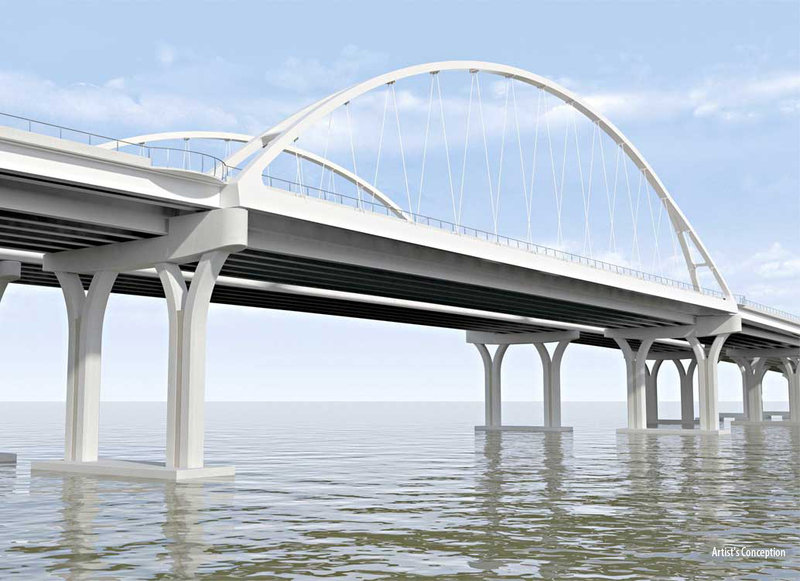 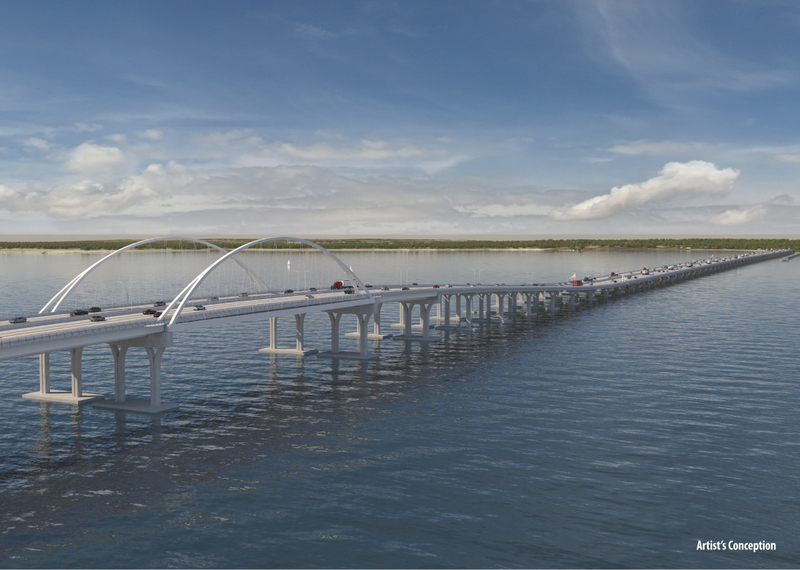 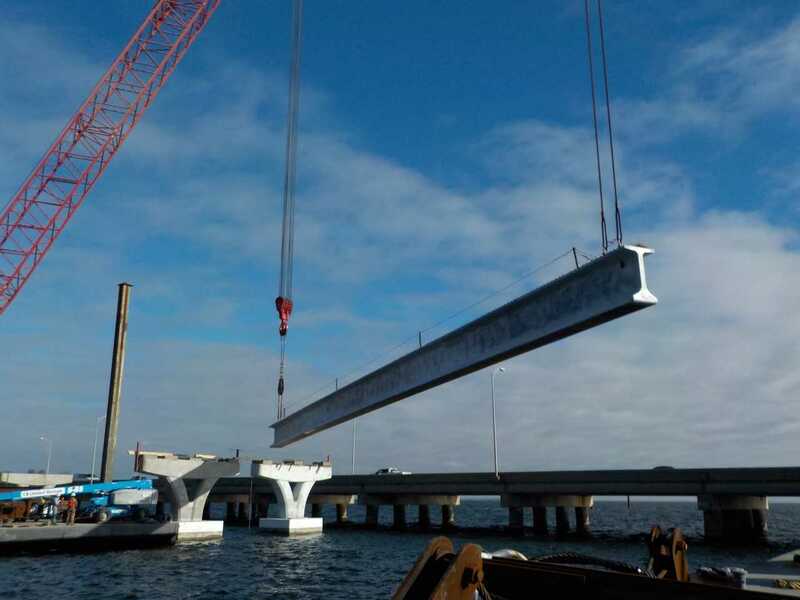 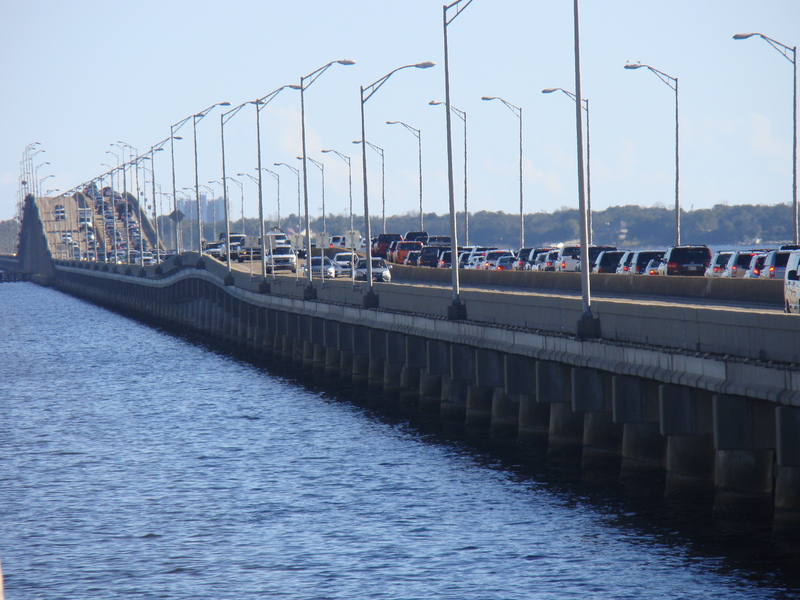 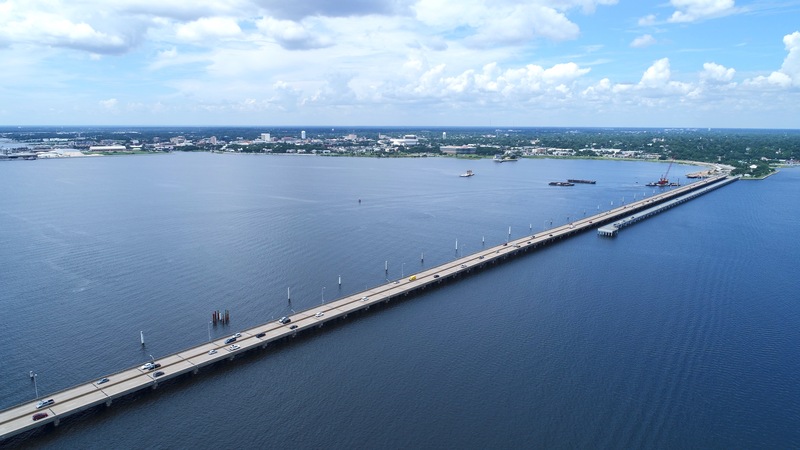 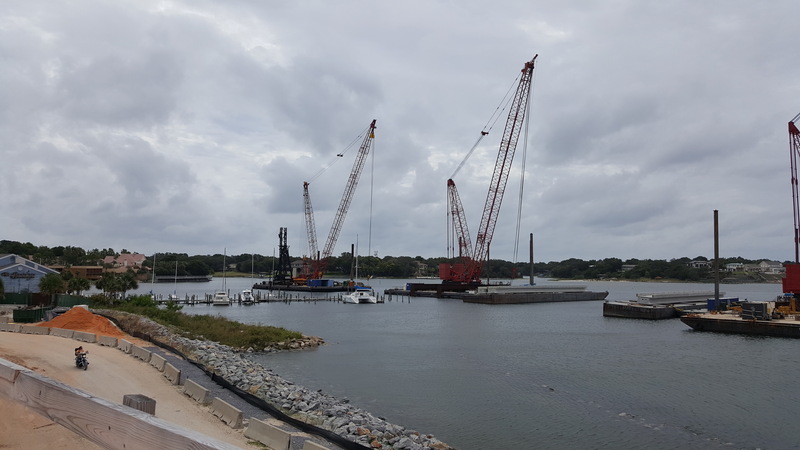 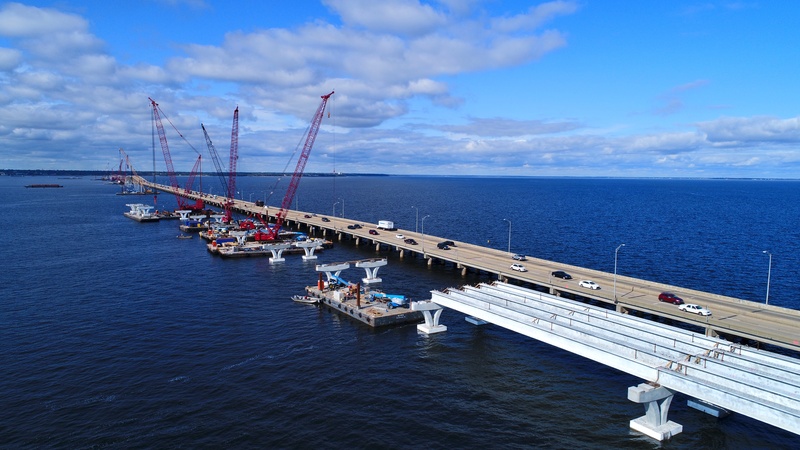 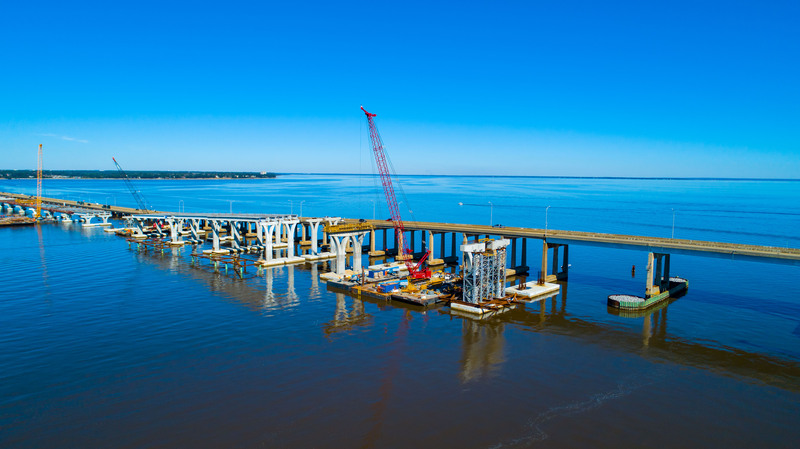 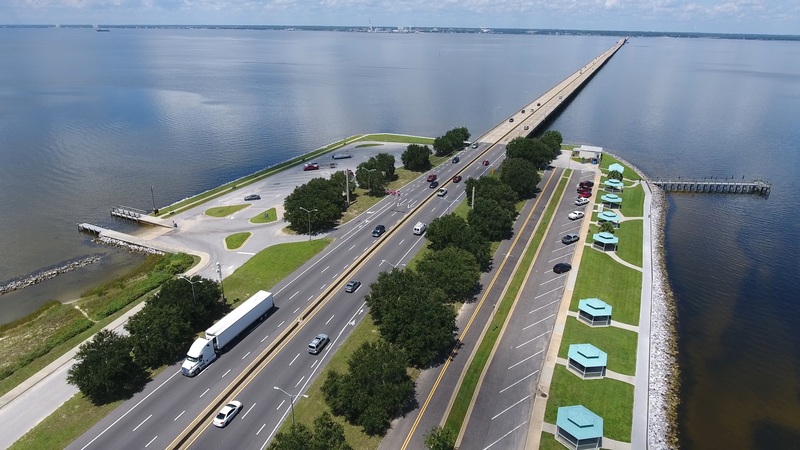 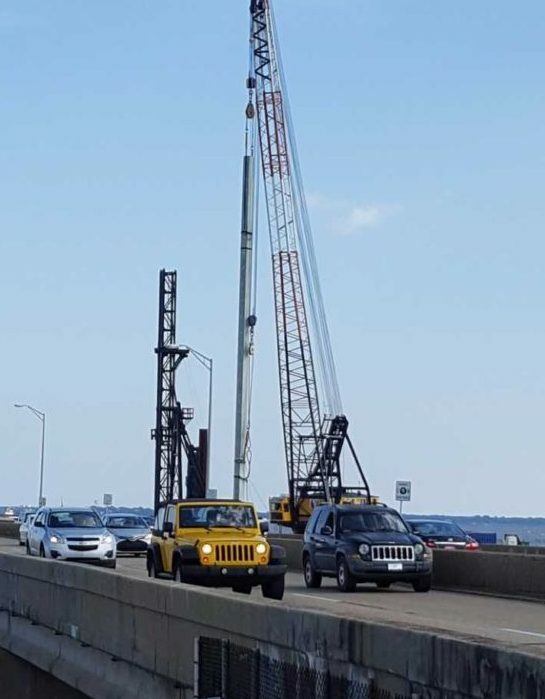 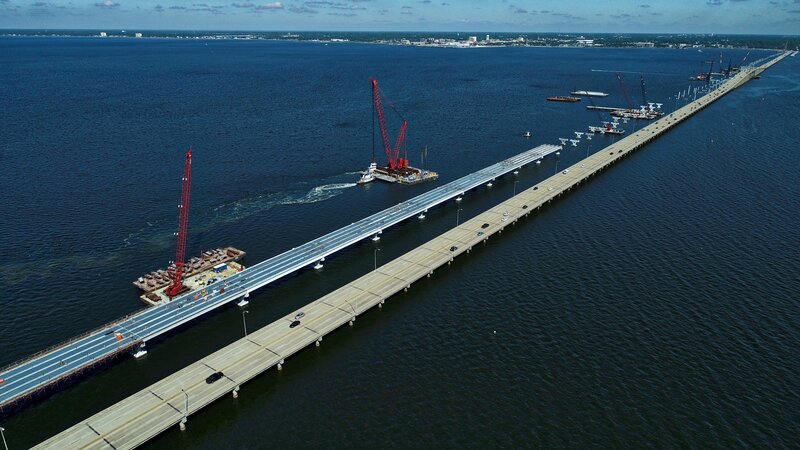 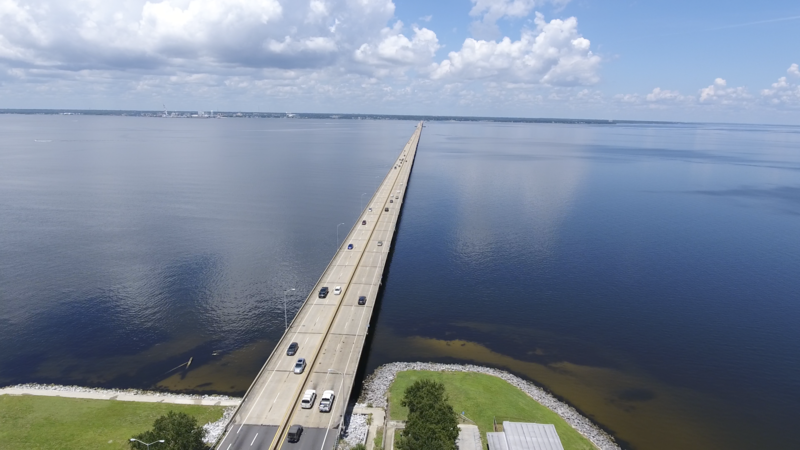 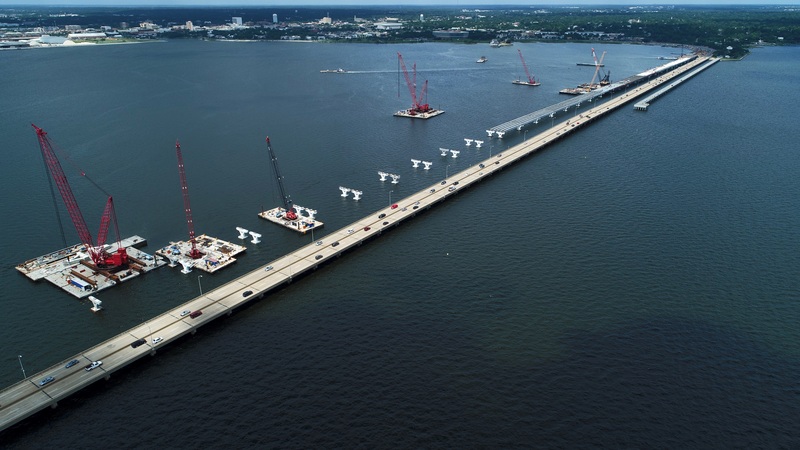 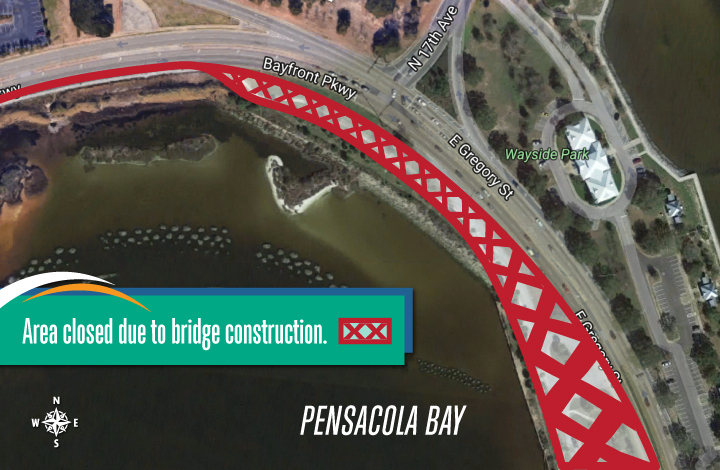 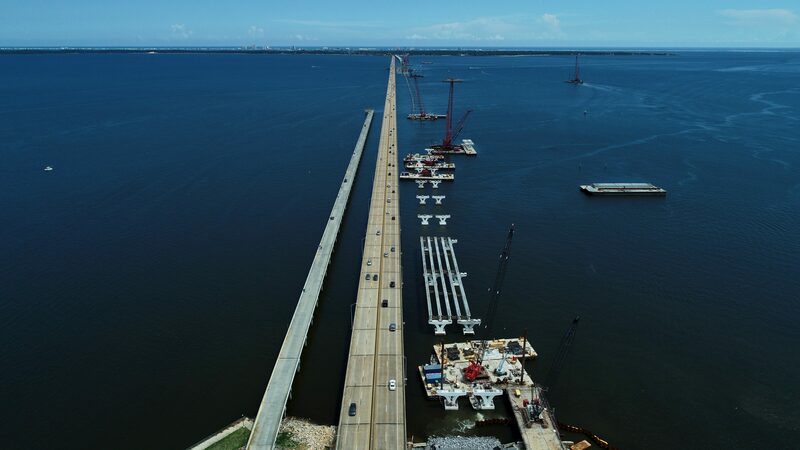 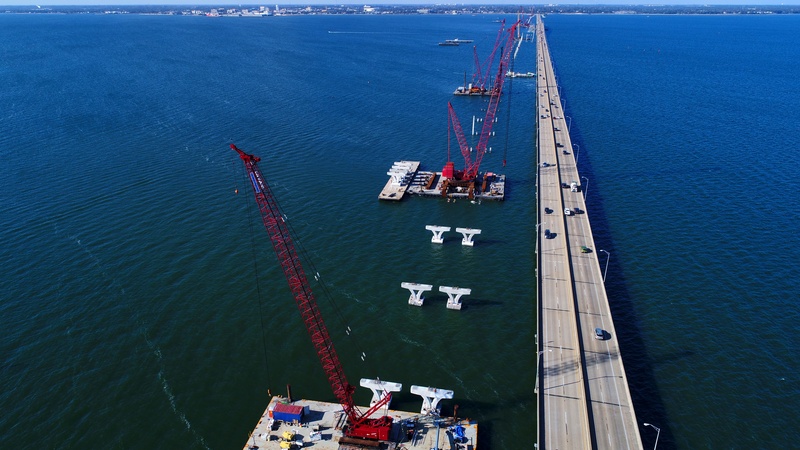 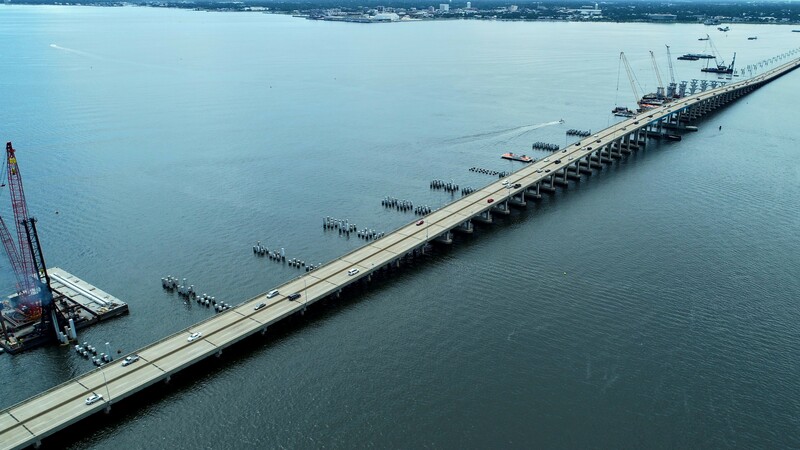 Construction crews have begun driving test piles for the new Pensacola Bay Bridge. 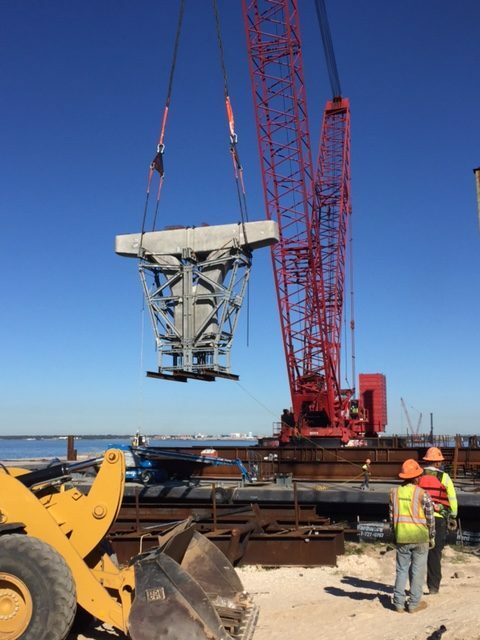 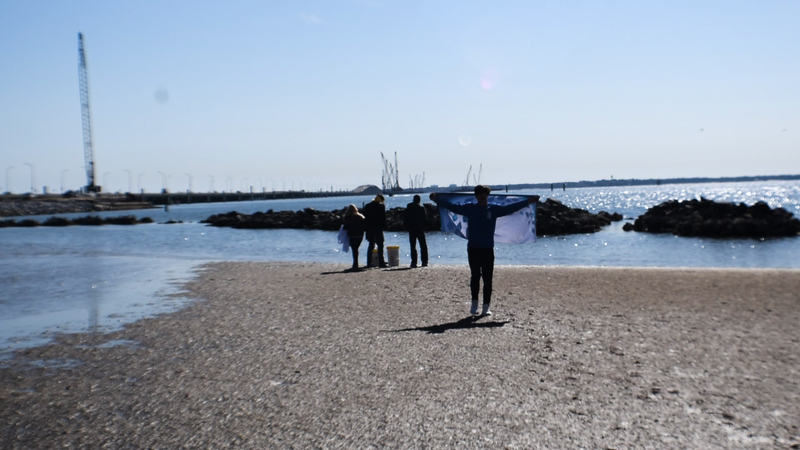 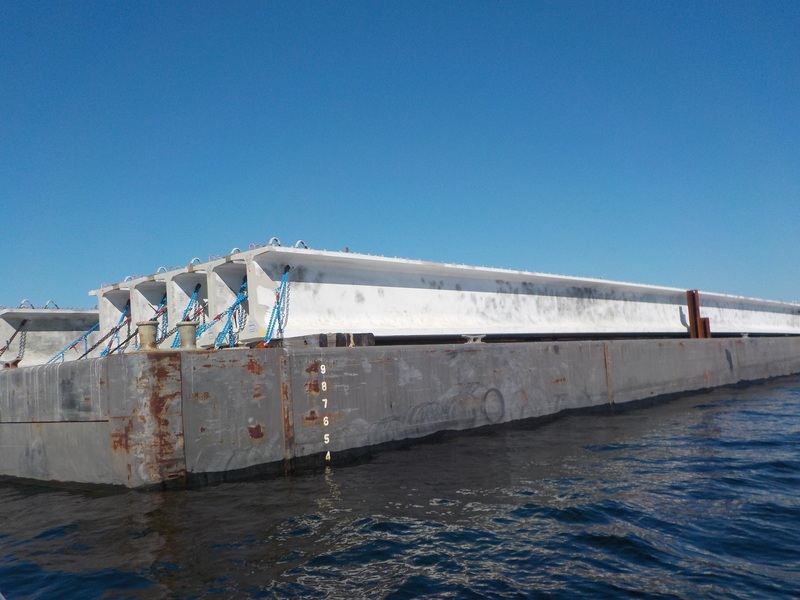 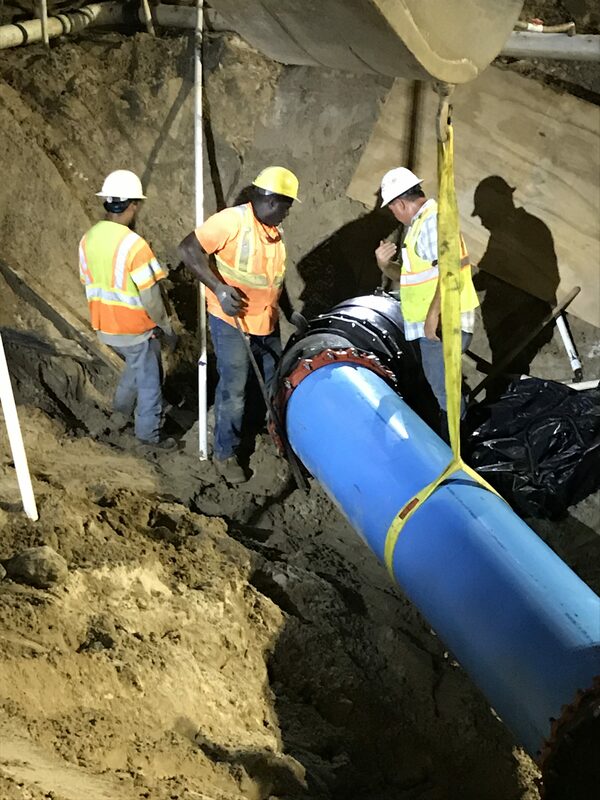 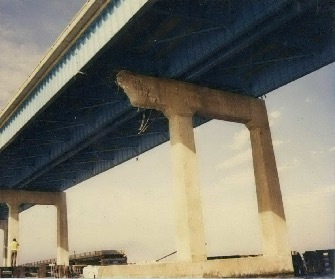 Information derived from the test pile program will be used to determine the length and driving criteria for the permanent production piles that will provide the foundation for the new bridge. 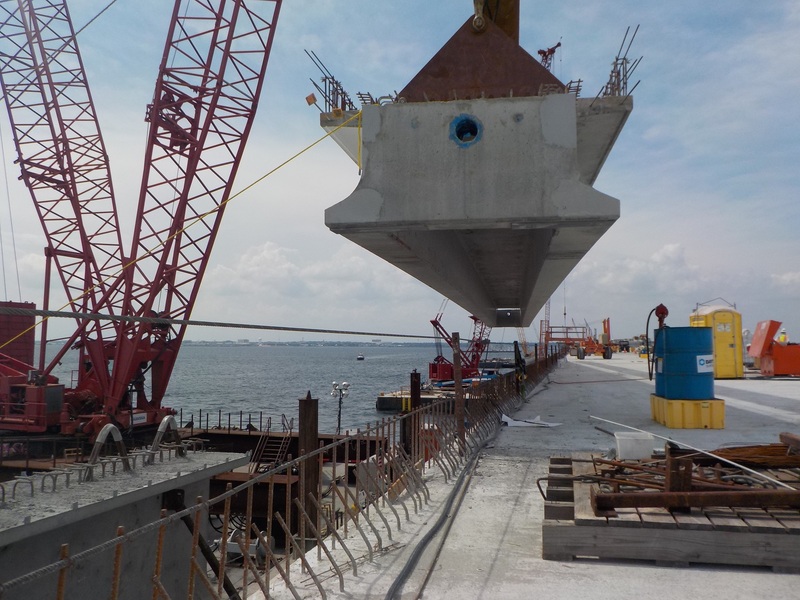 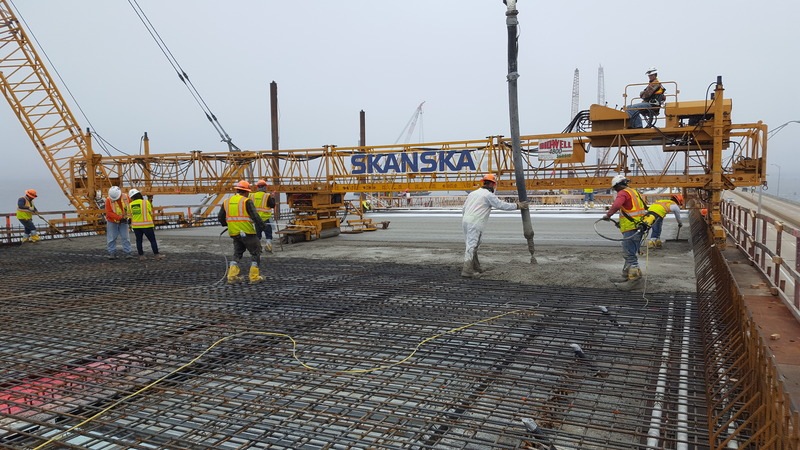 Large cranes mounted on barges are lifting the concrete test piles into position where they are driven into the bay bottom using a 20,000-pound diesel-powered hammer. 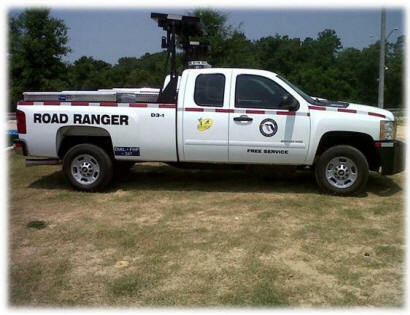 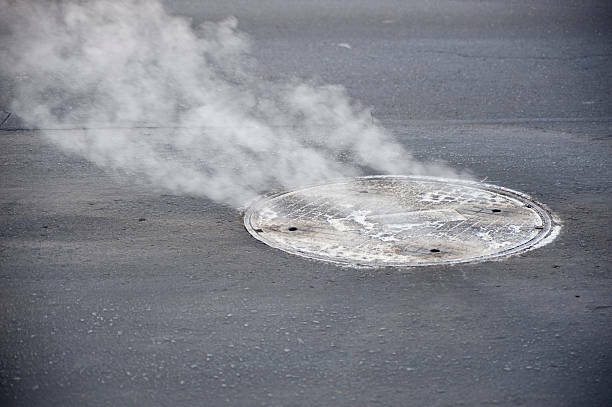 While there are no direct traffic impacts, persons nearby may detect noise and the possibility of vibration. 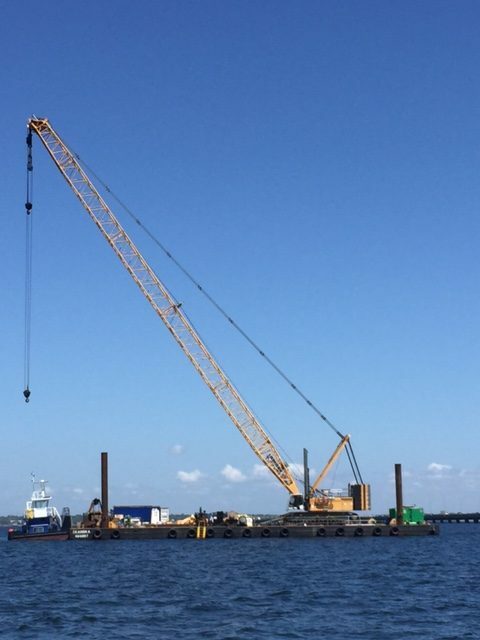 Pile driving work is scheduled during daytime hours, seven-days-a-week. 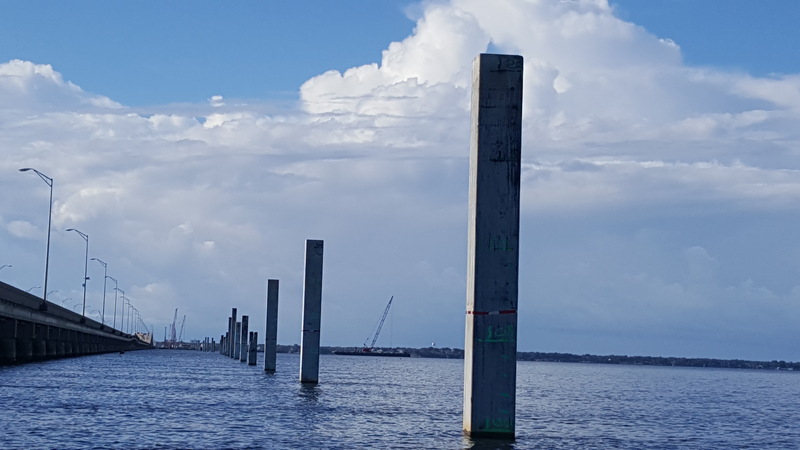 Following the test pile program, crews will begin driving the more than 2,000 production piles needed for the new bridge. 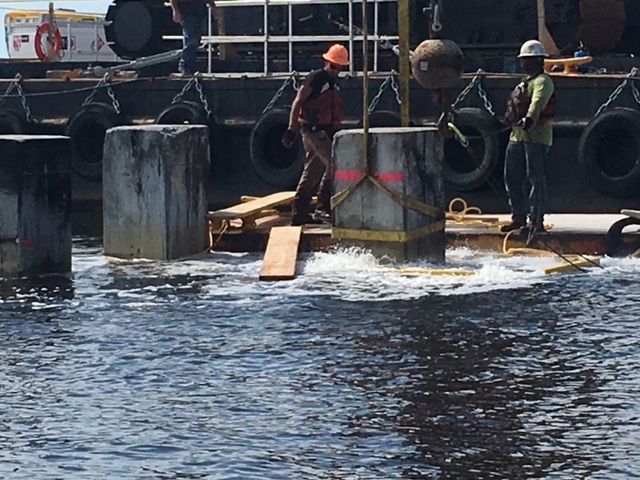 All piles are being fabricated at a concrete casting yard on Bayou Chico, then transported by barge the short distance to the bridge construction site. 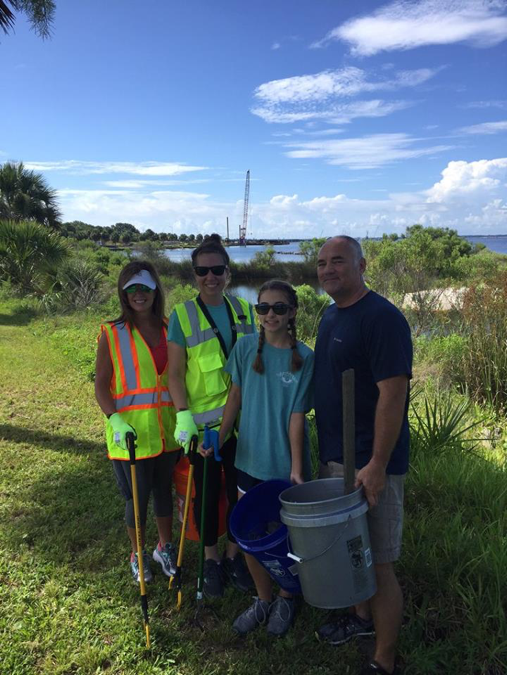 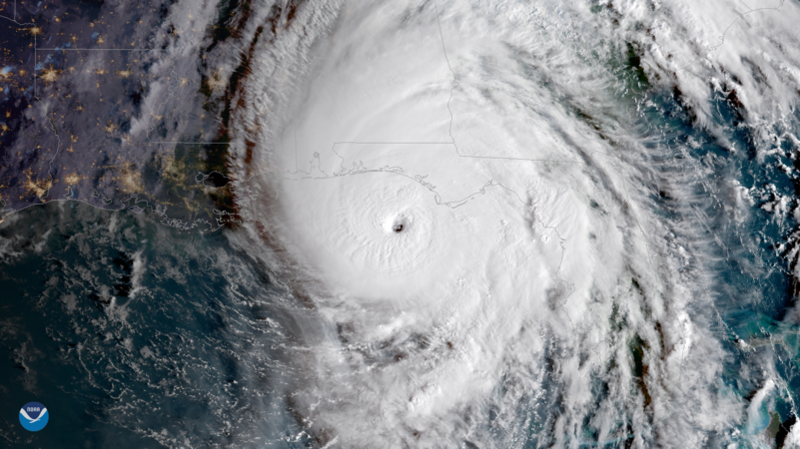 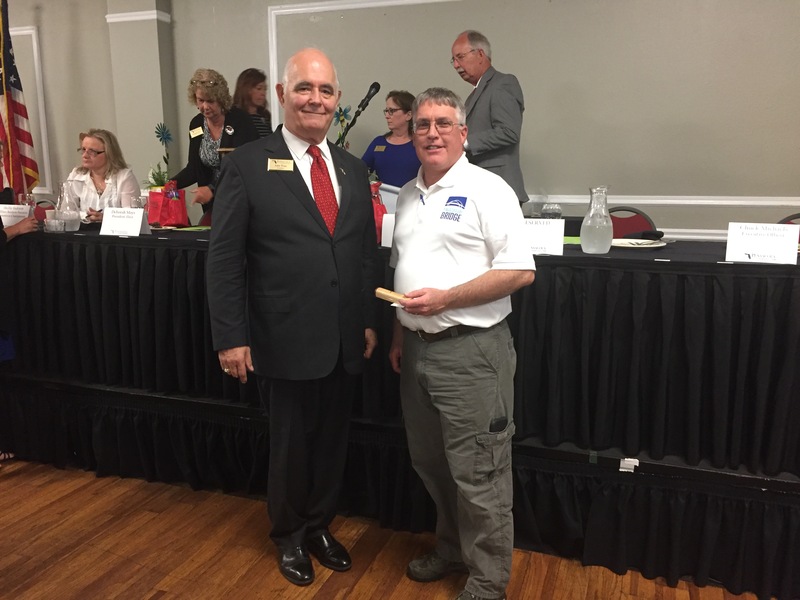 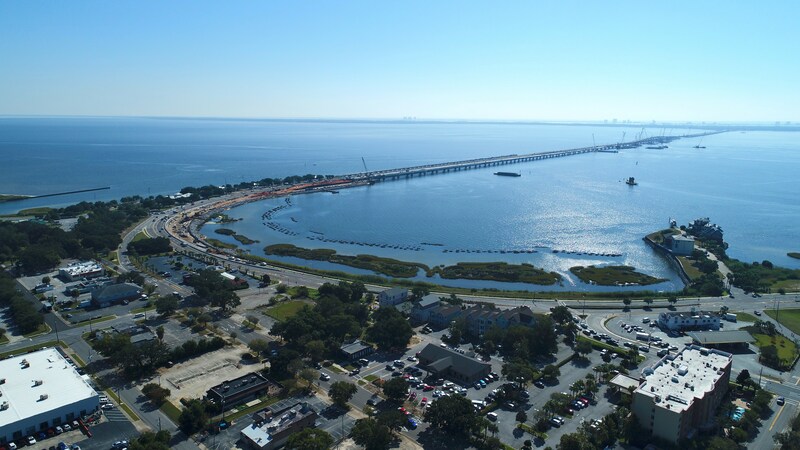 The new bridge will consist of two parallel structures, each with three 12-foot travel lanes, two 10-foot shoulders, and a 10-foot multi-use path for pedestrians, joggers, and bicyclists. 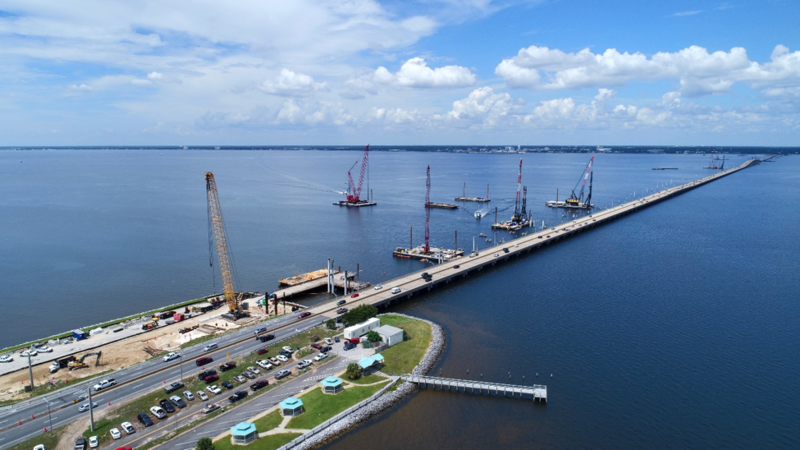 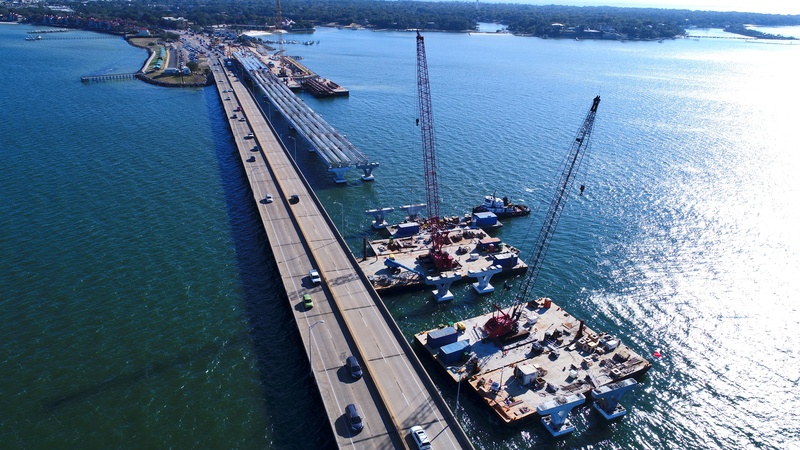 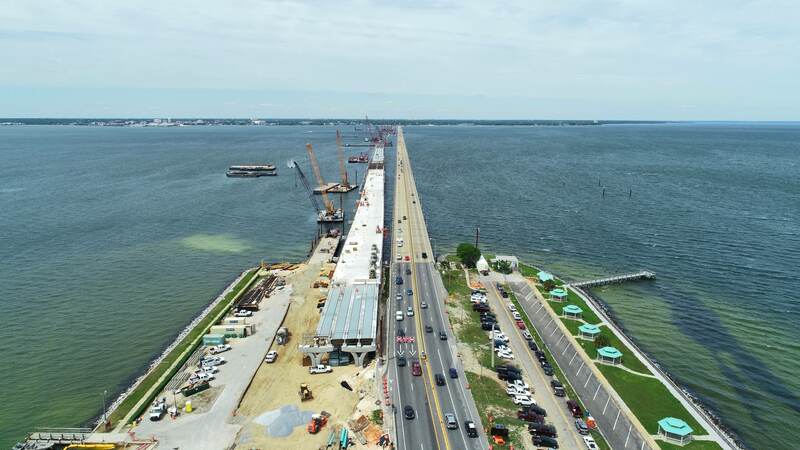 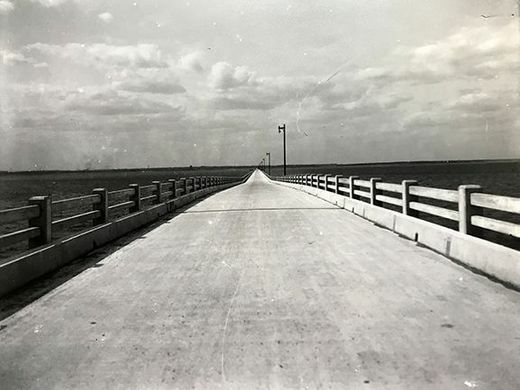 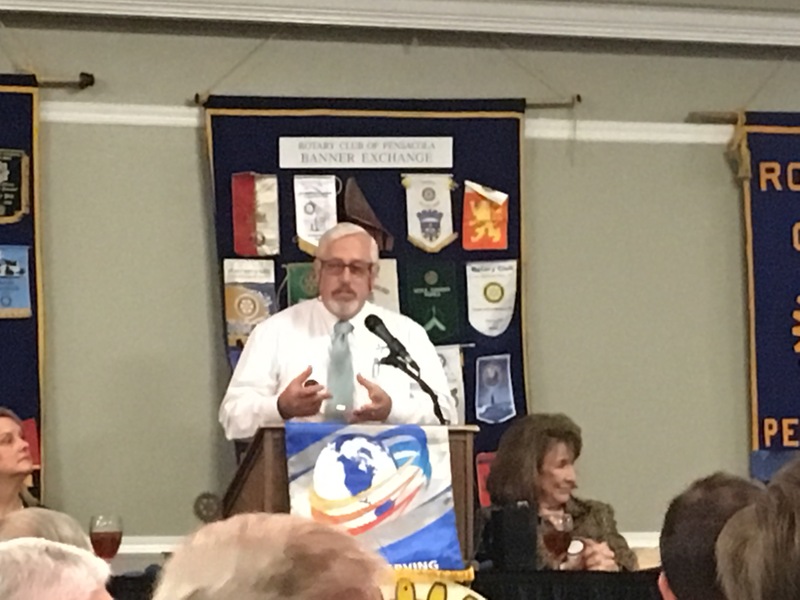 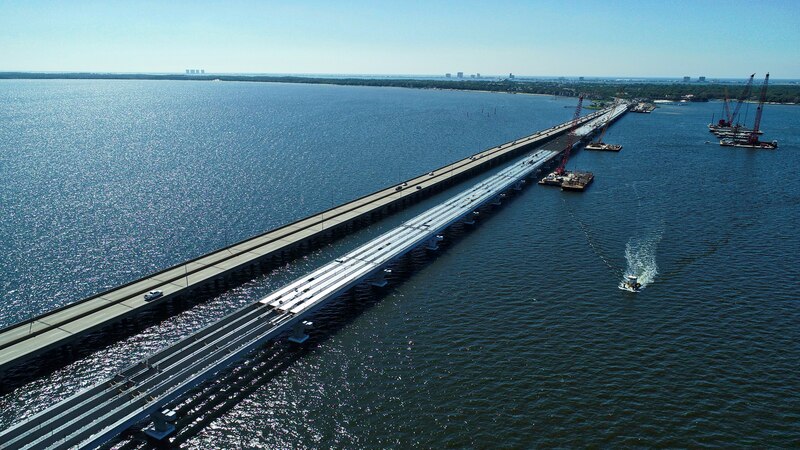 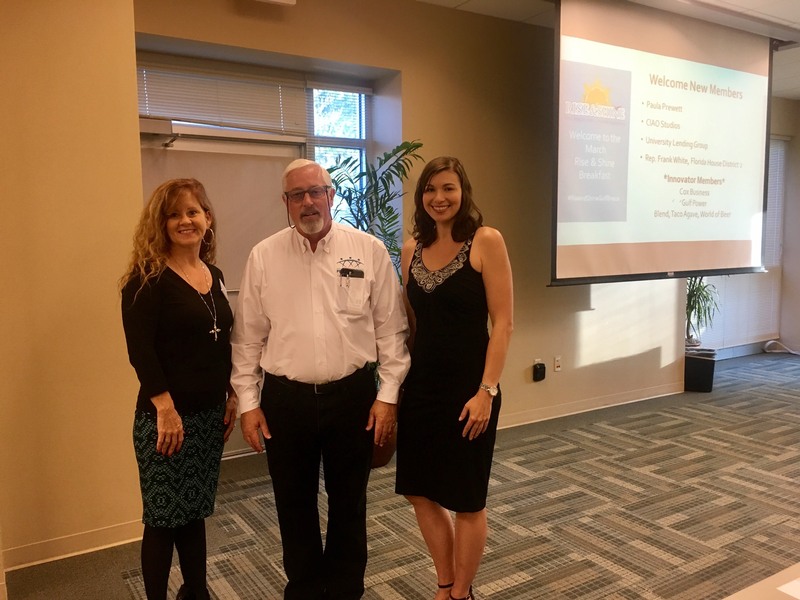 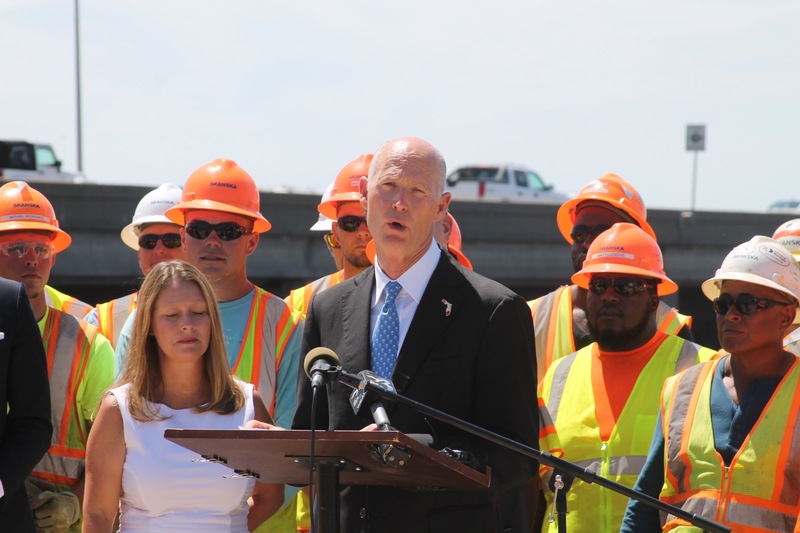 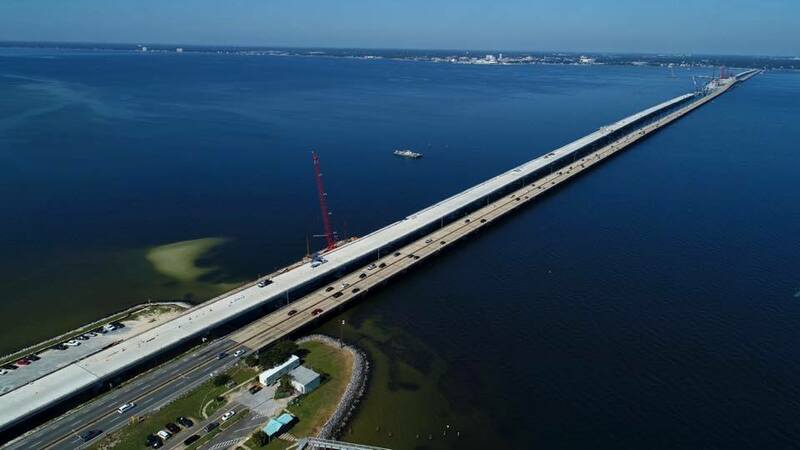 The current schedule calls for completing the first new bridge in early 2019 and temporarily transitioning four lanes of traffic onto the structure. 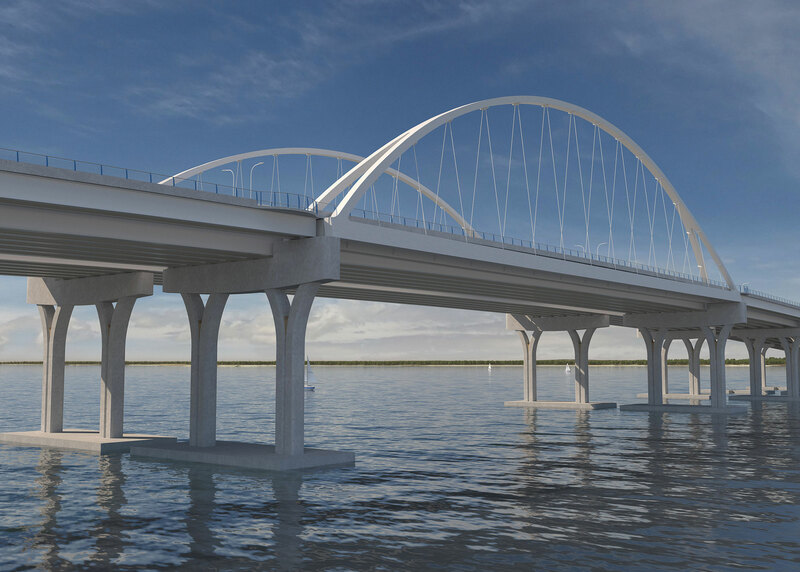 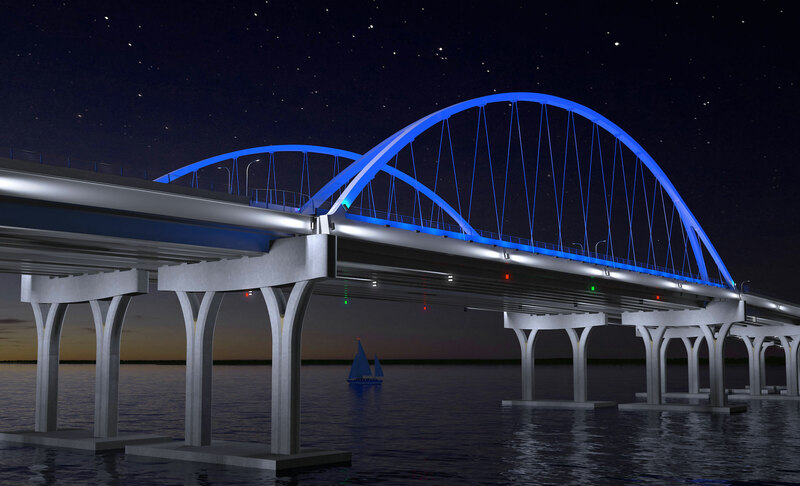 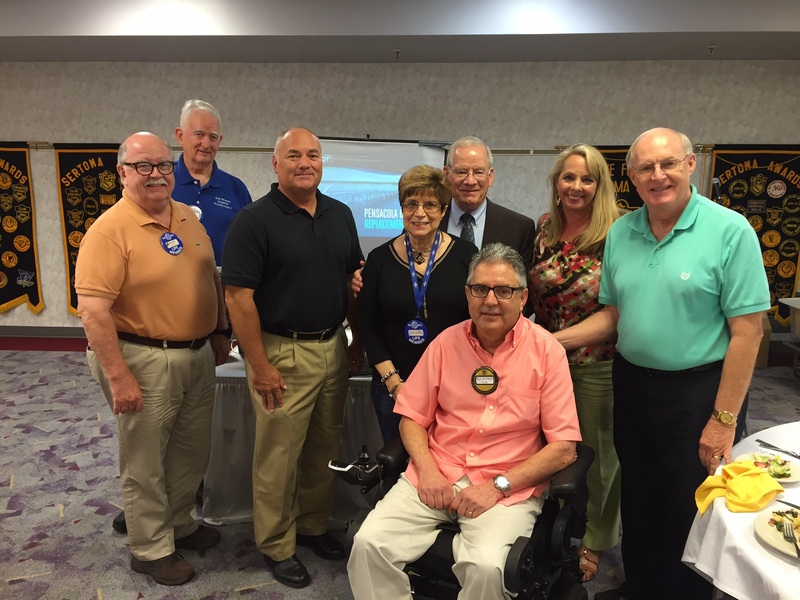 This will allow for demolition of the existing bridge and completion of the second structure in summer 2020.